Sapa is a town located in Vietnam’s remote northwest mountains. As a result of its elevation (nearly 5000 ft or 1500 m), it is much cooler than most other parts of the country. 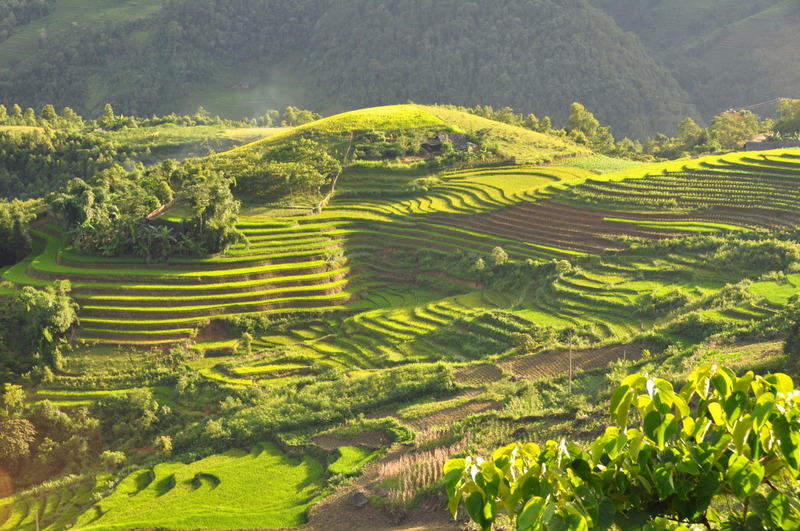 Sapa is famous for both its beautiful scenery of mountains and rice terraces and for its rich cultural diversity. It is a picturesque town that lies in the Hoang Lien Son mountain range, known as “the Tonkinese Alps”. This includes Fansipan, the highest peak in Vietnam, which is visible from through the town. 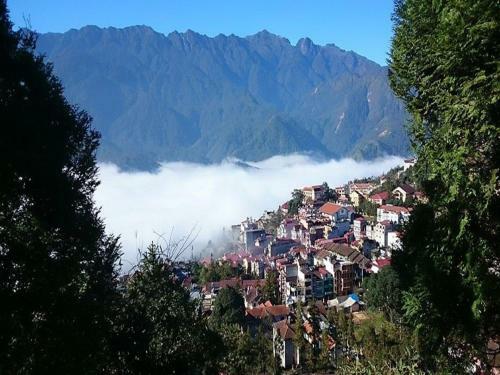 Sapa and its surrounding region is host to many hill tribes, and trekking to visit is popular, as are homestays. The regions diverse ethnic minorities can also be seen on market day in the local villages. 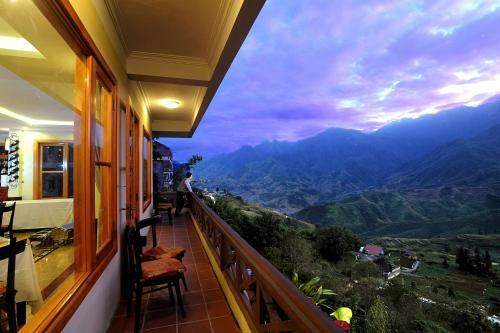 Situated in the heart of town, Sapa Cozy Hotel offers views of Hoang Lien Son Mountain Range and Fansipan Peak. Rooms come with either city or mountain views. 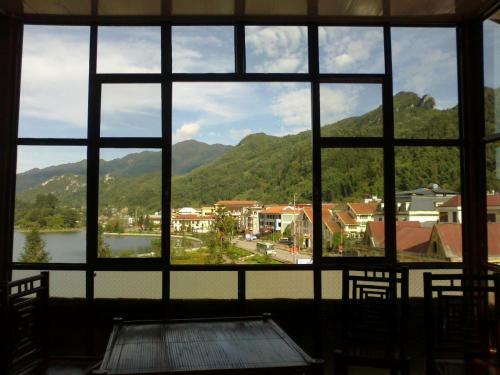 The hotel is within a 5-minute walk of Sapa Lake, Sapa Church and Sapa Bus Station. Average score from 12 guest reviews: 0.0/10. Fansipan View Sapa Hotel overlooks the city centre of Sapa, and is located 100 metres from the shopping areas and markets. All rooms come with free Wi-Fi. All rooms are air-conditioned and have a private balcony, cable TV and a safety deposit box. Average score from 6 guest reviews: 0.0/10. 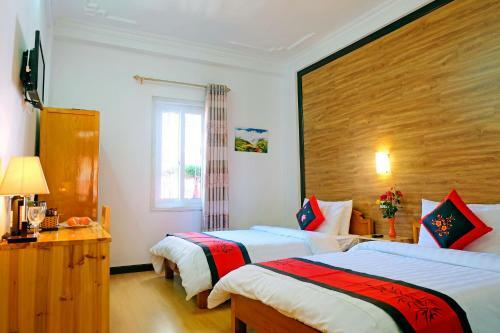 Boasting beautiful mountain views and placed in the heart of Sa Pa Town just 50 metres away from the popular Sa Pa Market, Casablanca Sapa Hotel offers clean and comfortable rooms with free Wi-Fi access. Average score from 15 guest reviews: 0.0/10. Situated in front of Sapa Lake, Sapa Lake View Hotel is just 500 metres from the entrance of Ham Rong Mountain. It houses a 24-hour restaurant and offers complimentary Wi-Fi access. Average score from 15 guest reviews: 0.0/10. Surrounded by lush greenery, Sapa Elite Hotel is situated within 70 metres from Sapa Church and Ham Rong Mountain. Operating a 24-hour front desk, it provides complimentary parking and offers free Wi-Fi access in the entire property. Average score from 5 guest reviews: 0.0/10. See all hotels in Sapa. Sapa Sunflower Hotel is set in Sa Pa, 8 km from Fansipan Mountain and 600 metres from Sa Pa Lake. Guests can enjoy the on-site restaurant. Certain rooms include views of the mountain or garden. Average score from 8 guest reviews: 0.0/10. BOOK THIS HOTEL NOWSee all hotels in Sapa. Nestled on the slope of a mountain overlooking the Muong Hoa valley and panoramic rice paddies, Dang Phung Homestay offers private accommodation in Sa Pa. The homestay features a restaurant and bar. Free WiFi is available throughout the property. Average score from 3 guest reviews: 0.0/10. 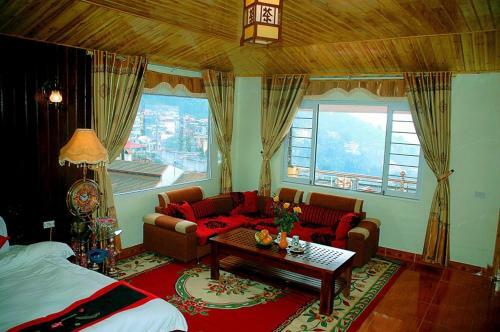 Offering a terrace and views of the mountain, Sapa Stunning View 2 Hotel is set in Sa Pa, 8 km from Fansipan Mountain. Guests can enjoy the on-site restaurant. Every room comes with a flat-screen TV. Average score from 6 guest reviews: 0.0/10. 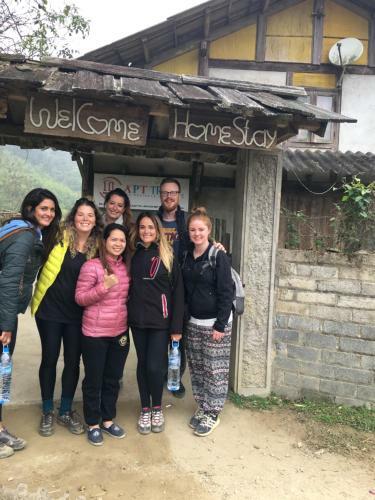 Offering a restaurant, Sapa Volunteer Homestay is located in the mountainous city of Sa Pa. Offering socializing areas such as a share lounge, this homestay offers tour and ticketing services at its 24-hour front desk. Average score from 8 guest reviews: 0.0/10. Offering a sun terrace and views of the mountain, Hoa Chanh Homestay is situated in Sa Pa, 12 km from Fansipan Mountain. All rooms are equipped with a shared bathroom. Hoa Chanh Homestay features free WiFi throughout the property. Average score from 8 guest reviews: 0.0/10. Situated 13 km from Fansipan Mountain in Sa Pa, Dung Dung House features free WiFi access and free private parking. The homestay has a sun terrace and views of the mountain, and guests can enjoy a drink at the bar. Average score from 8 guest reviews: 0.0/10. 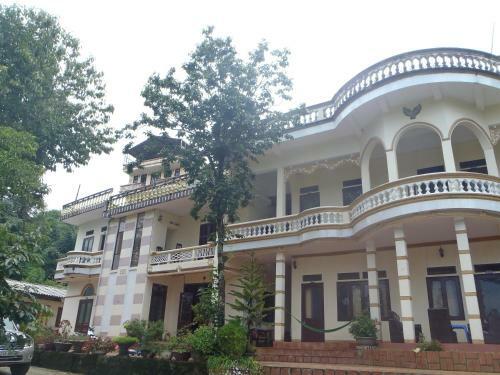 Set 8 km from Sapa in Lao Cai Region, Sapa Upland Homestay offers accommodation in Ta Van town. Free private parking is available on site. Certain rooms include a seating area where you can relax. Some rooms have views of the mountain or garden. Average score from 8 guest reviews: 0.0/10. Featuring free WiFi, Dzay house homestay offers accommodation in Sa Pa. Certain rooms feature views of the mountain or garden. Extras include slippers and a hairdryer. You will find a gift shop at the property. Average score from 9 guest reviews: 0.0/10. 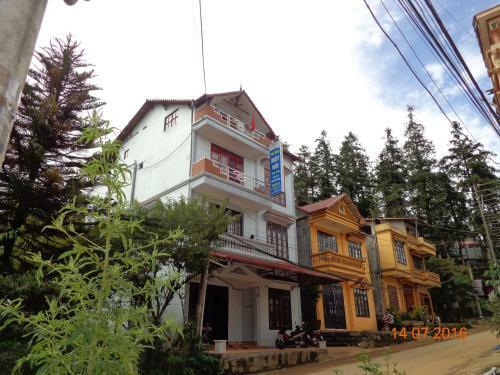 Located in the town centre, Sapa Hostel is 100 metres from Love Market and numerous local shops. Offering daily breakfast and a local restaurant, its homely rooms feature free Wi-Fi and satellite TV. Average score from 9 guest reviews: 0.0/10. Situated 12 km from Fansipan Mountain in Sa Pa, Tavan Ecologic Homestay features a restaurant and free WiFi throughout the property. The homestay has a barbecue and children's playground, and guests can enjoy a drink at the bar. Average score from 10 guest reviews: 0.0/10. Go Sapa Hostel is strategically located in the heart of Sa Pa only 900 metres from Sa Pa Lake. Rooms are simply furnished and comfortable. Amenities include free WiFi access and a 24-hour front desk. The hostel is a 7. Average score from 12 guest reviews: 0.0/10. Sapa Hotel Travel offers pet-friendly accommodation in Sa Pa. Guests can enjoy the on-site restaurant. Free WiFi is offered throughout the property and free private parking is available on site. The rooms come with a TV. Average score from 12 guest reviews: 0.0/10. 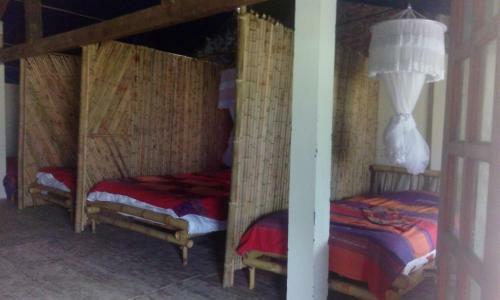 Situated in Sa Pa, Chapi Homestay features free WiFi, a garden and sun terrace. Fansipan Mountain is 6 km away. Each unit is fitted with a shared bathroom with a bath or shower. Average score from 14 guest reviews: 0.0/10. 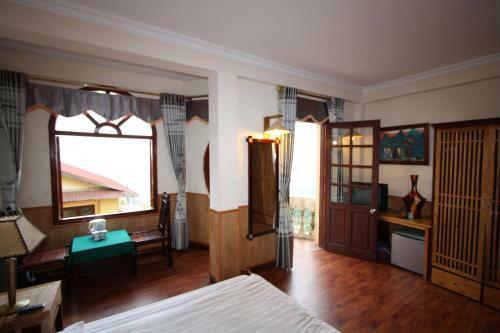 Featuring free WiFi throughout the property, Trek King Kong House offers pet-friendly accommodation in Lao Cai. The bed and breakfast has a barbecue and children's playground, and guests can enjoy a meal at the restaurant. Average score from 14 guest reviews: 0.0/10. MeKhoo & Zizi Sapa Homestay is set in Sa Pa, 20 km from Fansipan Mountain. Guests can enjoy the on-site bar. Free WiFi is featured in all areas and free private parking is available on site. Some units have a seating area where you can relax. Average score from 14 guest reviews: 0.0/10. 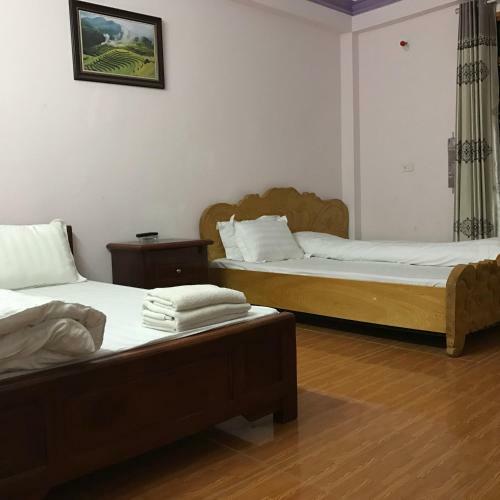 Set amidst lush green mountains, Sapa Stunning View Hotel offers tranquil and comfortable accommodation with free WiFi access in the guestrooms. It operates a 24-hour front desk, houses a restaurant and provides free parking on site. Average score from 15 guest reviews: 0.0/10. Offering a barbecue and sun terrace, Lolo's Homestay is set in Sa Pa in the Lao Cai Region, 12 km from Fansipan Mountain. Guests can enjoy the on-site bar. Free WiFi is available throughout the property and free private parking is available on site. Average score from 3 guest reviews: 0.0/10. 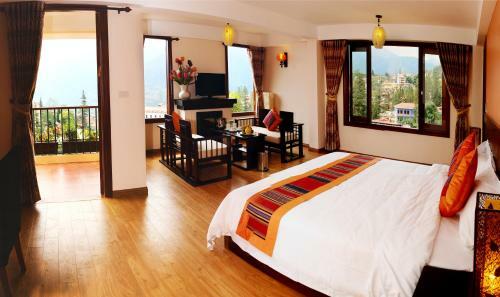 Set 8 km from Fansipan Mountain in Sa Pa, Sapa Success Hotel features free WiFi access and free private parking. Enjoy a cup of tea while looking out at the mountain or city. The rooms come with a private bathroom. Average score from 3 guest reviews: 0.0/10. 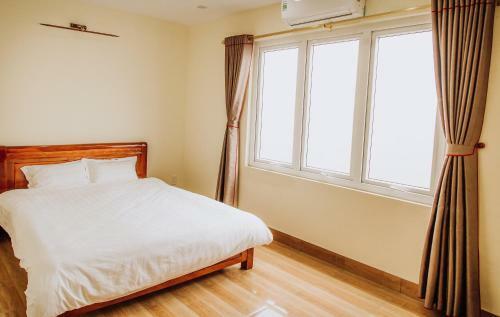 Featuring free WiFi and a terrace, Ha Hieu Guest House offers pet-friendly accommodation in Sa Pa. Free private parking is available on site. Rooms include a flat-screen TV. Average score from 3 guest reviews: 0.0/10. Set 7 km from Fansipan Mountain in Sa Pa, May Nui Sa Pa Hostel features free WiFi access and free private parking. 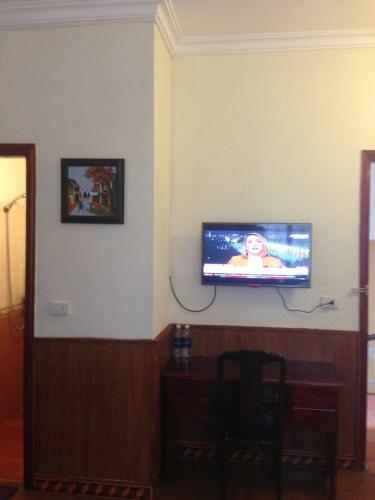 Rooms are equipped with a TV with cable channels. Every room has a private bathroom equipped with a shower. Average score from 4 guest reviews: 0.0/10. VinaSapa Hotel is set in Sa Pa, 7 km from Fansipan Mountain and 1 km from Sa Pa Lake. Each room has a private bathroom with a bidet and shower, with free toiletries provided. VinaSapa Hotel features free WiFi . Average score from 14 guest reviews: 0.0/10. Featuring free WiFi, Cau May Homestay is located in Ta Van, 10 km from Sa Pa. Free private parking is available on site. Cau May Homestay also includes a sun terrace. Grocery delivery and packed lunches are available on request. Average score from 4 guest reviews: 0.0/10. 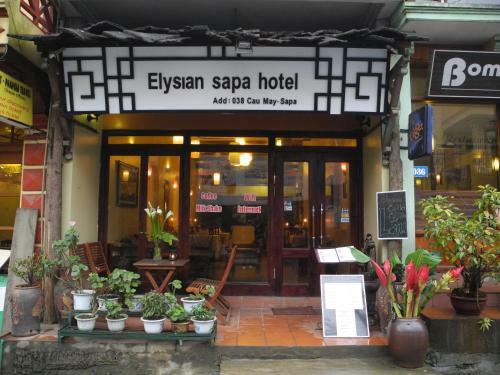 Elysian Sapa Hotel enjoys a convenient location, situated within 100 metres of Sa Pa market and the night market. It provides elegant rooms with private balconies and en suite bathrooms. Wi-Fi is free in the entire property. Average score from 12 guest reviews: 0.0/10. 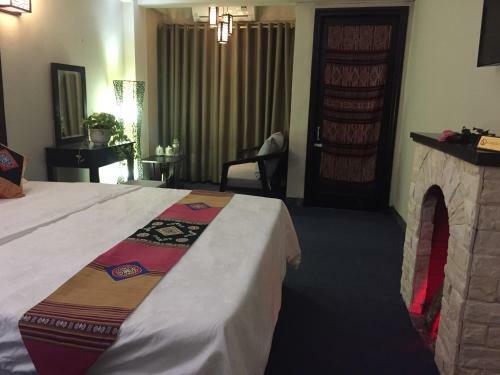 Sapa Central Hotel features a fireplace and free WiFi in each room. Located in Sapa, the hotel has a 24-hour front desk and its own à la carte restaurant. Average score from 13 guest reviews: 0.0/10. Lien Son Hostel is situated in Sa Pa, 8 km from Fansipan Mountain. Rooms include a flat-screen TV. Certain rooms have a seating area for your convenience. Every room includes a private bathroom equipped with a shower. Average score from 15 guest reviews: 0.0/10. 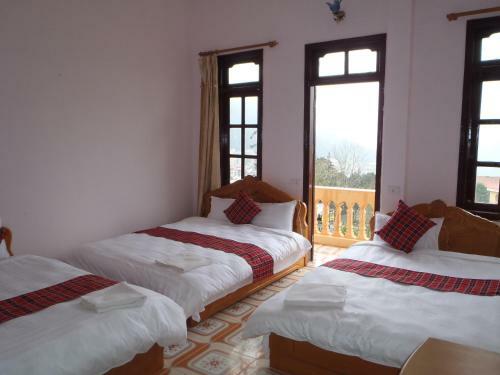 Featuring free WiFi, Hai Thuy Guesthouse is set in Sa Pa, 8 km from Fansipan Mountain. A terrace or balcony are featured in certain rooms. Every room is equipped with a private bathroom equipped with a bath or shower and bidet. Average score from 3 guest reviews: 0.0/10. 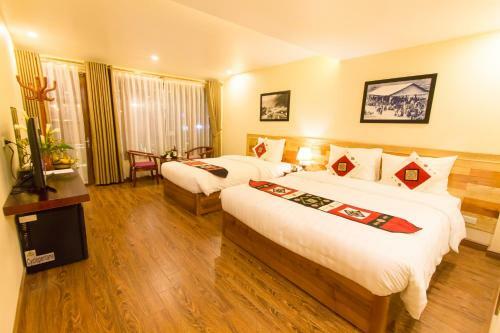 Located just 20 metres from Sapa Lake, Dang Khoa Sapa Hotel offers scenic surroundings and naturally ventilated rooms with lake or mountain views and free Wi-Fi. A restaurant and bar is available. Average score from 6 guest reviews: 0.0/10. Set in Sa Pa, 11 km from Fansipan Mountain, Homestay Lotus Hoang features free WiFi access and free private parking. Guests can enjoy the on-site restaurant. There is a shared kitchen at the property. Average score from 7 guest reviews: 0.0/10. 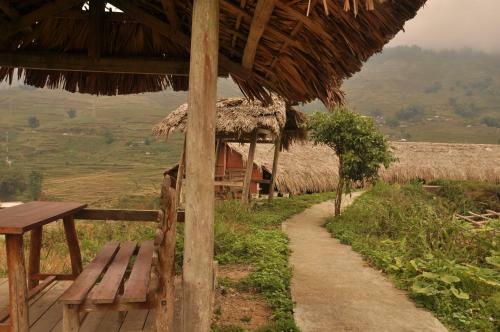 Featuring free WiFi, a spa centre and a barbecue, Eco Palms House offers accommodation in Sa Pa. Guests can enjoy the on-site bar. Free private parking is available on site. A terrace or balcony are featured in certain rooms. Average score from 9 guest reviews: 0.0/10. Located in Sa Pa, 8 km from Fansipan Mountain, Cat Cat Sunrise boasts a restaurant and free WiFi. Guests can enjoy the on-site bar. All rooms are equipped with a flat-screen TV. You will find a kettle in the room. Average score from 9 guest reviews: 0.0/10. Lava Sapa offers accommodation in Sa Pa. The hotel has a terrace and views of the mountain, and guests can enjoy a meal at the restaurant. Each room has a flat-screen TV. Certain units feature views of the lake or city. Average score from 9 guest reviews: 0.0/10. 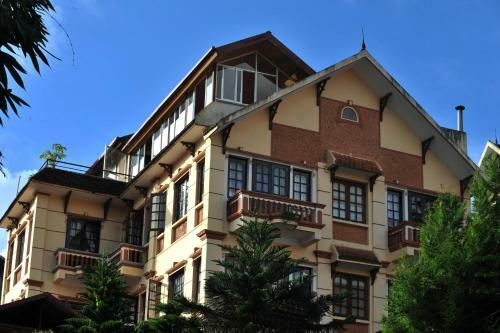 Featuring free WiFi, Sapa Golden Moon Hotel is situated in Sa Pa, 9 km from Fansipan Mountain. Guests can enjoy the on-site restaurant. Each room includes a flat-screen TV with cable channels. Some rooms feature a seating area for your convenience. Average score from 10 guest reviews: 0.0/10. Featuring free WiFi, a restaurant and a terrace, Sapa Glory Hotel offers pet-friendly accommodation in Sa Pa, 8 km from Fansipan Mountain. The rooms come with a TV with cable channels. You will find a kettle in the room. Average score from 11 guest reviews: 0.0/10. 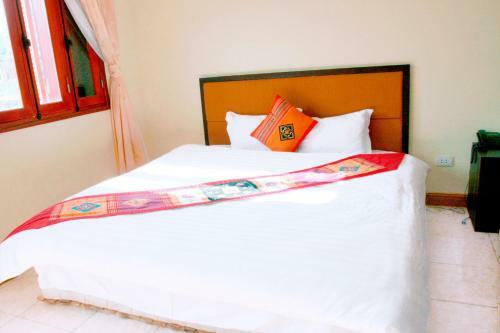 Situated in the centre of Sa Pa Town, Pumpkin Hotel is within a convenient 2-minute walk from Sa Pa Market and the famous Ham Rong Mountain. Free Wi-Fi access is available throughout the hotel, while complimentary parking is provided nearby. Average score from 12 guest reviews: 0.0/10. 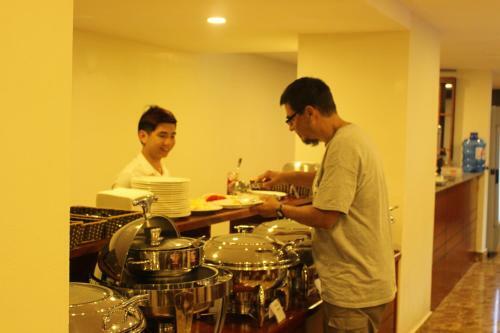 Boasting an in-house restaurant, Sa Pa Vimico Hotel offers a simple accommodation and is 1 km to Sa Pa Lake. Featuring barbecue facilities, the hotel is equipped with a terrace and garden. Free private parking is available on site. Average score from 3 guest reviews: 0.0/10. Situated in Sa Pa in the Lao Cai Region, 8 km from Fansipan Mountain, Sapa Hills Hotel boasts a barbecue and views of the mountain. Guests can enjoy the on-site restaurant. The rooms have a flat-screen TV. Average score from 3 guest reviews: 0.0/10. Featuring free WiFi and a restaurant, Sapa Centre Hotel offers accommodation in Sa Pa. The hotel has a sun terrace and views of the mountain, and guests can enjoy a drink at the bar. Each room comes with a flat-screen TV with satellite channels. Average score from 13 guest reviews: 0.0/10. Featuring free WiFi throughout the property, Sapa Scenery Hotel offers accommodation in Sa Pa, 7 km from Fansipan Mountain. Rooms come with a TV. Some rooms include a seating area for your convenience. You will find a kettle in the room. Average score from 5 guest reviews: 0.0/10. 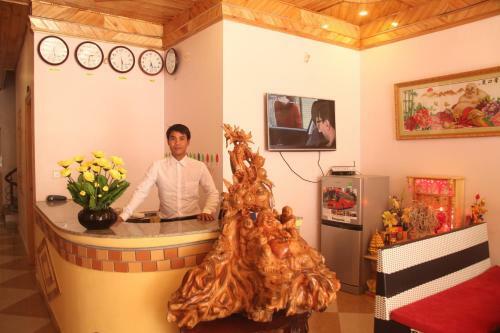 Centrally located in the peaceful town of Sapa, this non-smoking hotel is situated just in front of Ham Rong ticketing booth and just a 5-minute walk from the colourful local market. It offers complimentary Wi-Fi access. Average score from 12 guest reviews: 0.0/10. Sapa Luxury Hotel offers rooms featuring views of Hoang Lien Son mountain range and Wi-Fi access. It has a restaurant and is a stroll from Sapa Market and Sapa Church. Modern rooms at Hotel Sapa Luxury feature a private balcony and air conditioning. Average score from 8 guest reviews: 0.0/10. Operating a 24-hour front desk, Sapa Lodge features an in-house restaurant and offers comfortable modern rooms with complimentary tea/coffee making facilities. It provides free wired internet in its public areas and free parking on site. Average score from 9 guest reviews: 0.0/10. Offering a sun terrace and spa centre, Sapa Aroma Hotel is situated in Sa Pa in the Lao Cai Region, 8 km from Fansipan Mountain. Each room has a flat-screen TV. Sapa Aroma Hotel features free WiFi throughout the property. Average score from 11 guest reviews: 0.0/10. 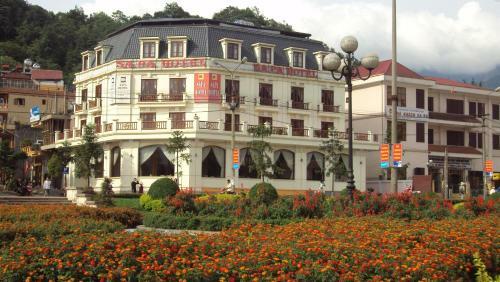 Featuring a restaurant, Royal Sapa Hotel is located in Sapa, in Vietnam. It offers a 24-hour front desk and free Wi-Fi. All rooms are air-conditioned and come with a balcony. The seating area also includes a flat-screen TV. Average score from 12 guest reviews: 0.0/10. Set in Sa Pa in the Lao Cai Region, 8 km from Fansipan Mountain, Golden Sun Sapa Hotel features a terrace and views of the city. Guests can enjoy the on-site restaurant. Each room at this hotel is air conditioned and has a flat-screen TV. Average score from 12 guest reviews: 0.0/10. 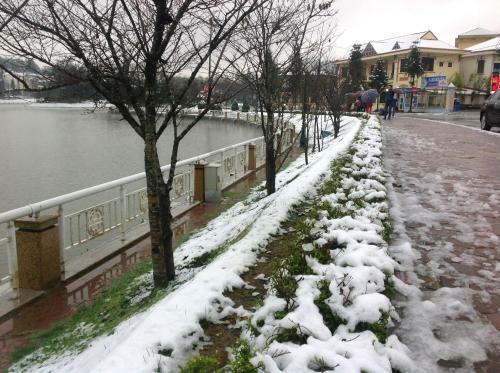 Situated in front of Sapa Lake, Sapa Hotel offers naturally cooled rooms with city, mountain or lake views. It houses a restaurant and offers free Wi-Fi access and private parking. The hotel is 200 metres from Sapa Church and Sapa Market. Average score from 6 guest reviews: 0.0/10. 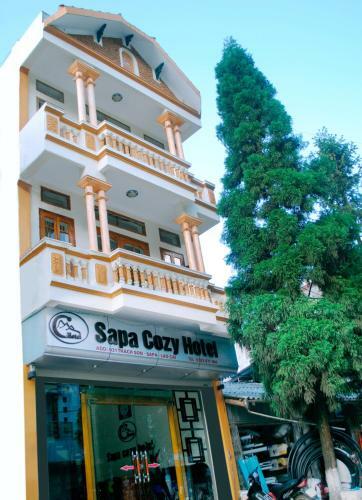 Sapa Eden Hotel is located in a quiet street of Sapa Town, a 5-minute walk from Sa Pa Market and Cat Cat Village. The hotel offers lovely views of the valley and Fansipan Mount, free Wi-Fi and a restaurant. Average score from 6 guest reviews: 0.0/10. Offering a sun terrace and views of the mountain, Chapa Valley Hotel is located in Sa Pa in the Lao Cai Region, 8 km from Fansipan Mountain. Guests can enjoy the on-site restaurant. All rooms have a TV. Average score from 8 guest reviews: 0.0/10. Featuring free WiFi and a restaurant, Ha Thanh Hotel offers accommodation in Sa Pa. All rooms have a flat-screen TV with cable channels. All rooms are fitted with a private bathroom. For your comfort, you will find slippers and free toiletries. Average score from 9 guest reviews: 0.0/10. 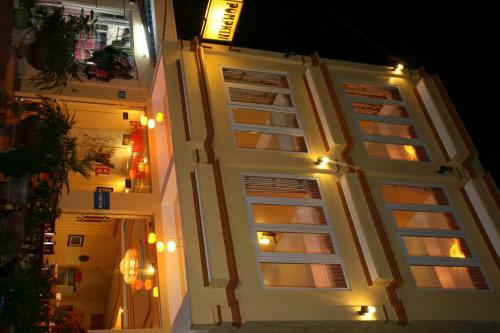 Sapa House is a charming hotel located 160 metres from Sapa Church, Sapa Market and Cho Tinh (Love Market). The hotel features a restaurant and free Wi-Fi access. Average score from 10 guest reviews: 0.0/10. Located in northwestern Vietnam, Royal View Sapa Hotel offers cosy accommodation with views of the Hoang Lien Son mountain range. Free internet and parking are provided. Average score from 8 guest reviews: 0.0/10. Many ethnic minorities live in and around Sapa. 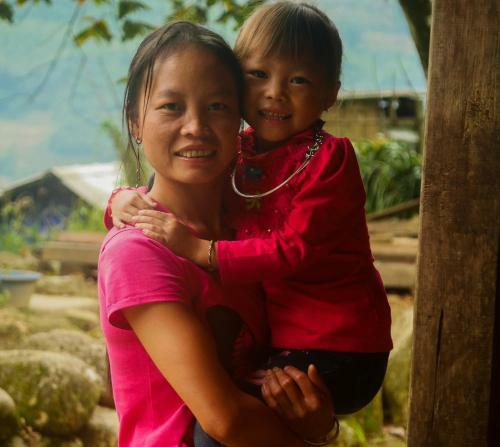 Excluding ethnic Vietnamese, there are eight different ethnic minority groups found in the Sapa region: H'mong, Dao, Tay, Giay Muong, Thai, Hoa (ethnic Chinese), and Xa Pho (a denomination of the Phu La minority group). Some of these groups comprise less than 500 people in total. 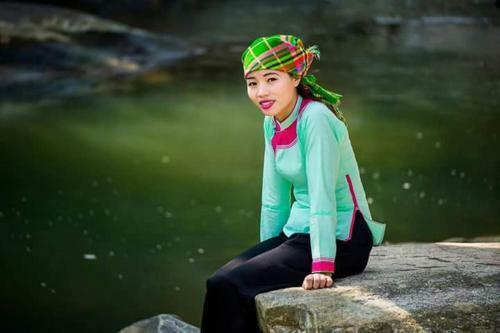 It is possible to visit on treks and homestay programs, and the minority peoples (primarily the women) will be visible on market day in Sapa and surrounding villages. Sapa has a daily market that brings in people from all over the surrounding region. Equally interesting, but on a much smaller scale, are weekly markets in the surrounding villages. Check locally to find days of the week when these are being held. All of the markets are a dynamic combination of sales of local food and crafts with food stalls and great people watching. 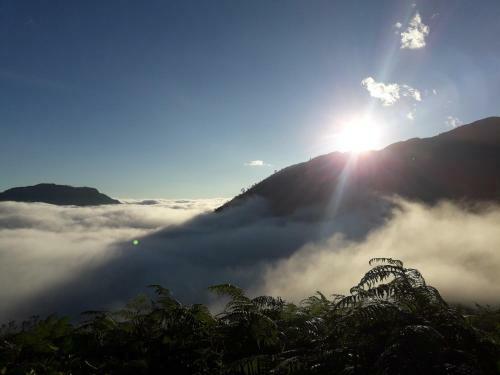 Trekking enables visitors to get away from the relatively busy scene in Sapa in order to visit local tribal peoples. Homestays are typically part of the experience, with comfort levels varying (some homestays even have hot water showers). A typical tour includes trekking to the village, cooked meals and as much rich wine as you can drink.